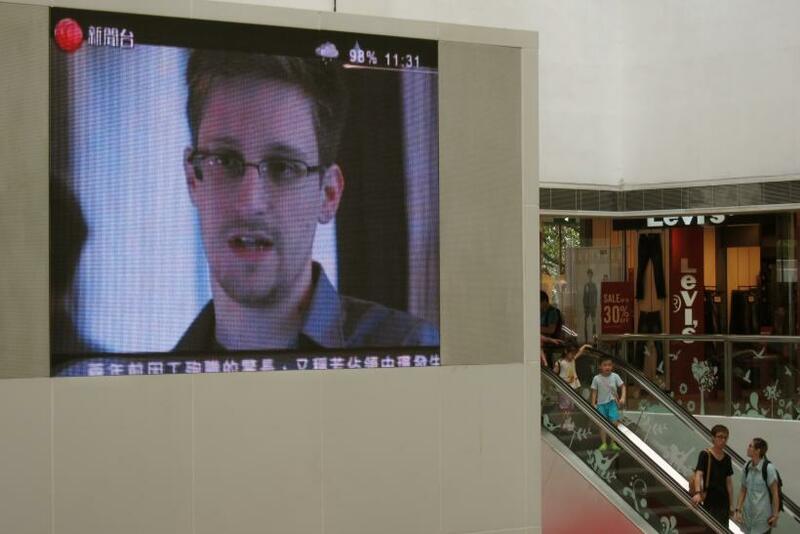 Edward Snowden, a former NSA contractor, is seen during a news broadcast on a screen at a shopping mall in Hong Kong on June 16. Edward Snowden has not left Moscow’s Sheremetyevo International Airport in about two weeks, but the scandal surrounding him has reached the four corners of the globe -- particularly Latin America, where he has been considered for asylum by several countries, with Venezuela among the leading contenders after President Nicolas Maduro offered the U.S. National Security Agency leaker refuge Friday. “[Venezuela] wants to protect him from prosecution from the most powerful empire in the world,” Maduro said in an incendiary speech on his country’s Independence Day on July 5. However, not everybody in the Bolivarian Republic shares Maduro’s feeling that the asylum offer is just a generous act toward a prosecuted “freedom rebel,” as the Venezuelan president called Snowden in the speech. Opposition leader Henrique Capriles called the asylum a “trick” and a “diversion” from the real problems of Venezuela. “Miraflores [the Venezuelan equivalent of the U.S. White House] surely thought that by creating controversy with the asylum issue they would cover the disaster that is their administration,” Capriles said via Twitter. Capriles contended Maduro’s asylum offer to Snowden was a strategy to legitimize his administration in the eyes of the international community: Maduro’s government has yet to be recognized by several nations -- and by the Venezuelan opposition. “The asylum offer does not solve the financial disaster, nor inflation, nor scarcity,” said Capriles, who referred to the 19.4 percent inflation rate that the country has experienced in the first half of this year, as reported by the Peruvian newspaper El Comercio. Snowden has yet to speak out on the asylum offer, which could be his few tickets out of a Russia that does not want him there any longer. The question remains about how he would be able to leave the country, given that Bolivian President Evo Morales’ plane was recently denied entry in France’s airspace, reportedly because Snowden was believed to be on it. The Spanish newspaper El Pais also wondered how safe Snowden would actually be in Venezuela: Back in 2005, the country allowed Colombian military forces to enter it to capture Rodrigo Granda, the leader of FARC (the Spanish acronym for Revolutionary Armed Forces of Colombia) who was sheltered there.